Excellent product and very easy to install. Fits perfect on a stock AR. I had gotten first the MAGPUL but that did not fit over the swivel for the sling on the front sight. But the Troy fit was perfect and with the screws was very tight. I recommend it. I also had some other huge godly thing on there and this is much more fit and slim. If you do not want to remove the delta rings this is a simple and fast solution. 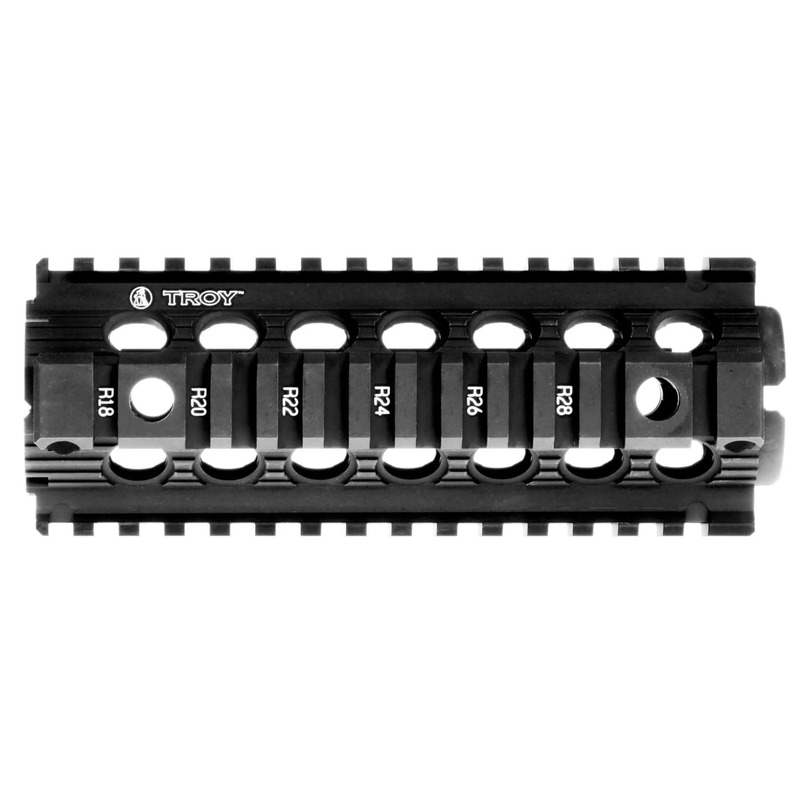 We are happy to hear that the Troy handguard is working out for you. I've wanted to get a quad rail ever since I got my AR15, and I didn't want to get a polymer one. This one is perfect for what I had in mind. Sturdy aluminum that feels nice to the touch, looks great, and is lightweight. Made very well. Easily assembled and looks great.